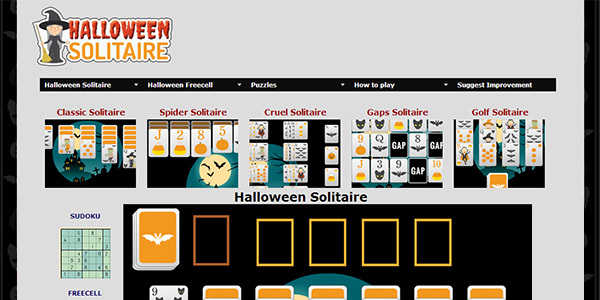 Over the years I've developed a large number of card game websites. 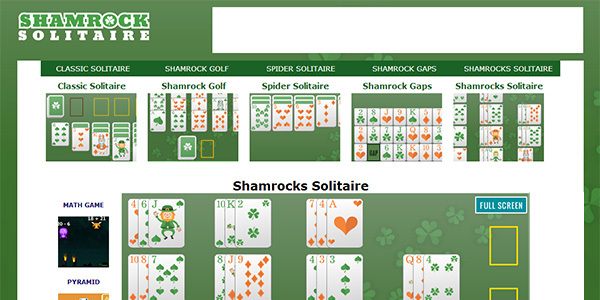 Many of these are solitaire card games that range from traditional games like Klondike, Freecell, and Pyramid Solitaire, to more obscure solitaire card games like Gaps Solitaire, Shamrocks, and La Belle Lucie. 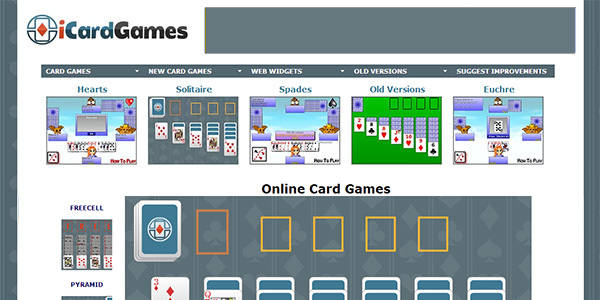 iCardGames.com is my primary card games web site. 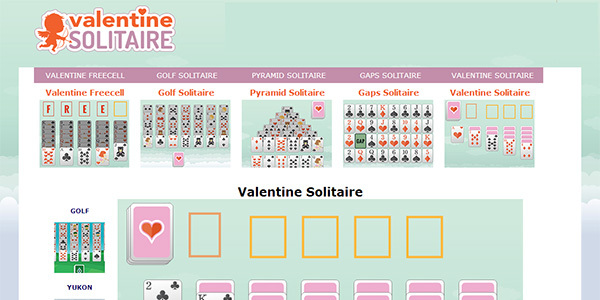 It has a large collection of card games that includes Spades, Hearts, Euchre, Stud Poker, Video Poker, as well as my full collection of solitaire card games with a classic card skin. iSolitaireGames.com has gone through many changes over the years. I've been working to add more features to my newer solitaire card games which include Undo, Full Screen mode and Auto Complete. 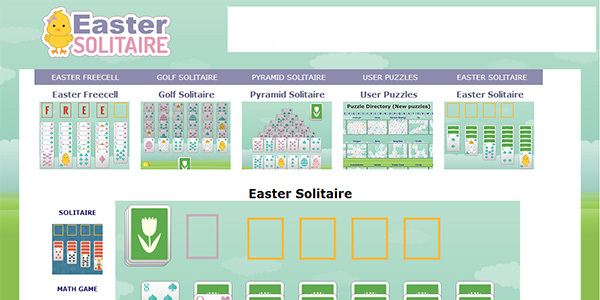 I have kept around most of my older versions, so I now have a collection of more than 40 solitaire games on the site. 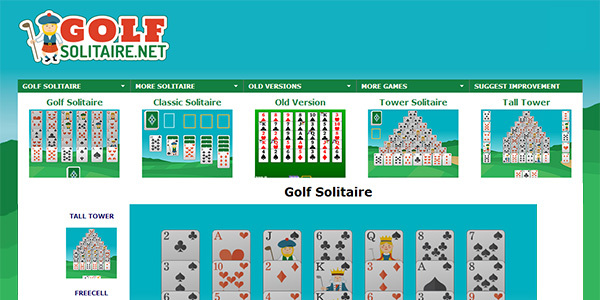 Golf Solitaire is a somewhat less known but classic solitaire card game. The goal is to remove all the card from the layout by moving them into a discard pile at the bottom of the game screen. You can only move cards that have a value one greater than or one less than the value of the card that is currently on the top of the discard pile. To move a card in my games you just click. 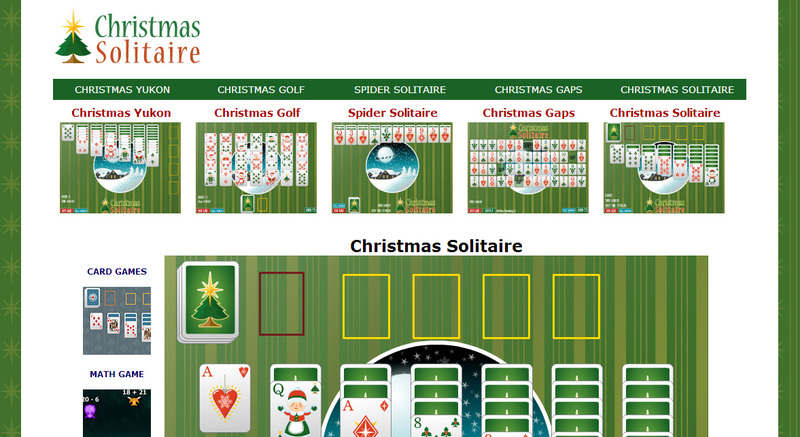 I have a variety of layouts I've built for Golf Solitaire that all use the same game mechanics. 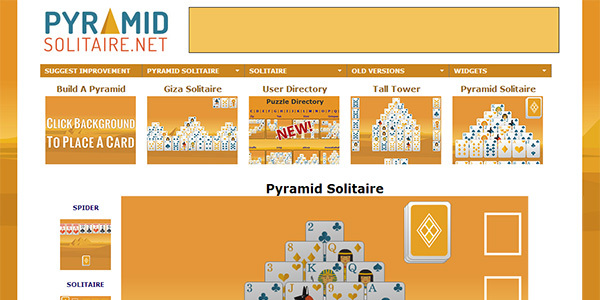 At some point I may also add a player layout generator like I have on Pyramid Solitaire. 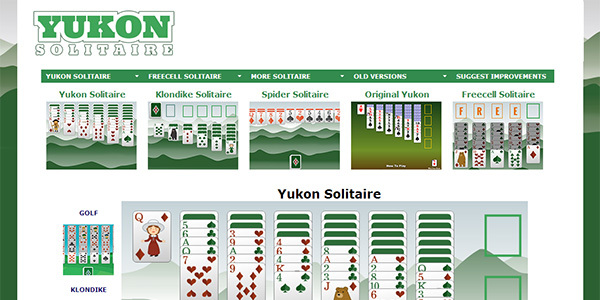 Yukon Solitaire is a classic solitaire card game similar to Klondike. 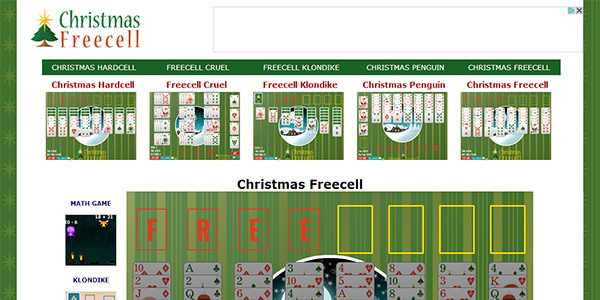 I've also done a Klondike Solitaire site, and I have my description of that game lower on this page. Yukon is similar in a lot of ways, except all the cards are dealt out at the beginning of the game, and you can alternate suits instead of colors. I used very similar art work to my Klondike version, except this game primarily uses green colors instead of blue. 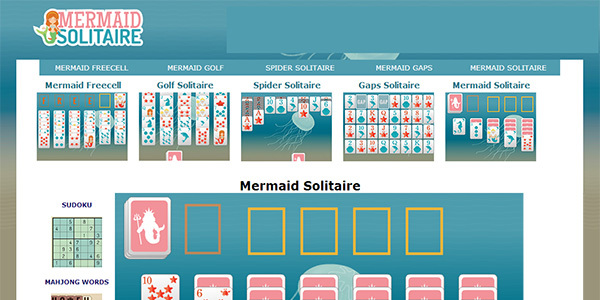 Mermaid Solitaire was a significant step away from the traditional look of a solitaire game. I wanted to completely replace the suits with something entirely different. Starfish, Crabs, Dolphins and Shell replaced the traditional Diamonds, Hearts, Spades and Clubs. 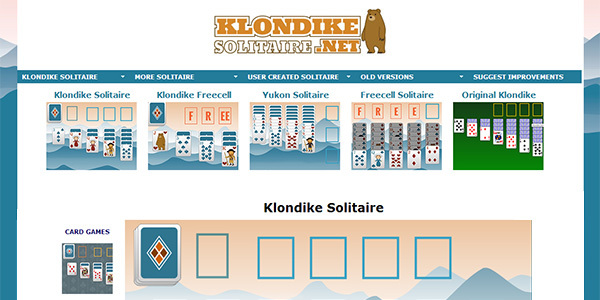 Klondike Solitaire is the most popular solitaire card game. 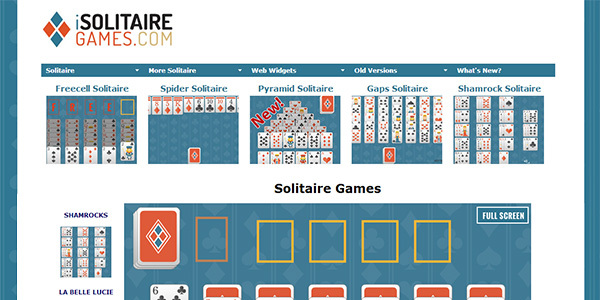 If you're only familiar with one solitaire card game, it's almost certainly Klondike.